Sixteen Carmelites caught up in the French Revolution and martyred. When the revolution started in 1789, a group of twenty-one discalced Carmelites lived in a monastery in Compiegne France, founded in 1641. The monastery was ordered closed in 1790 by the Revolutionary gov­ernment, and the nuns were disbanded. Sixteen of the nuns were accused of living in a religious community in 1794. 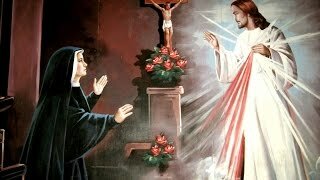 They were arrested on June 22 and imprisoned in a Visitation convent in Compiegne There they openly resumed their religious life. On July 12, 1794, the Carmelites were taken to Paris and five days later were sentenced to death. They went to the guillotine singing the Salve Regina. They were beatified in 1906 by Pope St. Pius X. The Carmelites were: Marie Claude Brard; Madeleine Brideau, the subprior; Maire Croissy, grandniece of Colbert Marie Dufour; Marie Hanisset; Marie Meunier, a novice; Rose de Neufville Annette Pebras; Anne Piedcourt: Madeleine Lidoine, the prioress; Angelique Roussel; Catherine Soiron and Therese Soiron, both extern sisters, natives of Compiegne and blood sisters: Anne Mary Thouret; Marie Trezelle; and Eliza beth Verolot. The martyrdom of the nuns was immortalized by the composer Francois Poulenc in his famous opera Dialogues des Carmelites.